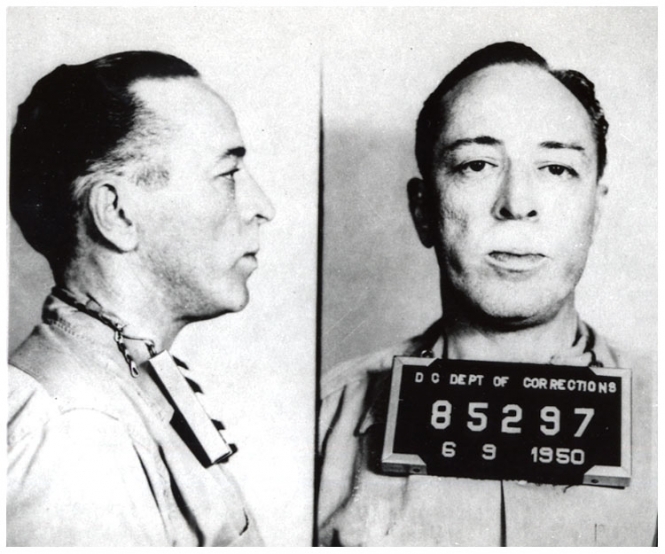 When writer Dalton Trumbo refused in 1947 to testify before the House Un-American Activities Committee, he received a prison sentence and a spot on the blacklist for his silence. Perhaps the most talented member of the 'Hollywood Ten,' Trumbo's credits include 'Spartacus,' and 'Johnny Got His Gun,' the antiwar novel. He is pictured here in a Bureau of Prisons mug shot. Submitted by JohnWaynesMangirdle on Sat, 2011-06-11 08:45. Sure Roy...you have nothing to fear citizen. These guys were misguided in their political views in my opinion, but it was a greater error to imprison them because of them. It's never wrong to question your country's leadership. In fact, it's when they are not questioned they become the most dangerous. Submitted by clairpie on Tue, 2011-03-15 15:35. That was a very black time in our history. It was shameful. Submitted by roydawgg on Wed, 2010-10-27 23:51.